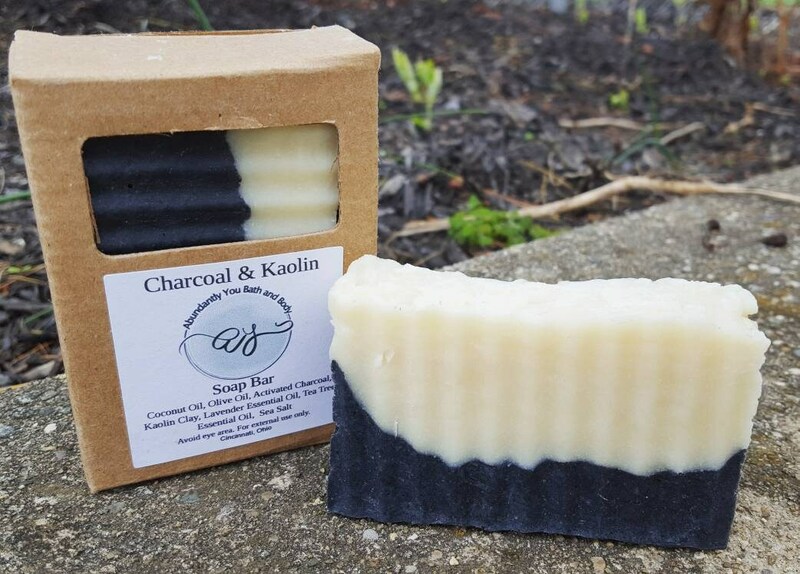 This vegan charcoal and kaolin clay soap is palm-free and free from chemicals and synthetic ingredients. 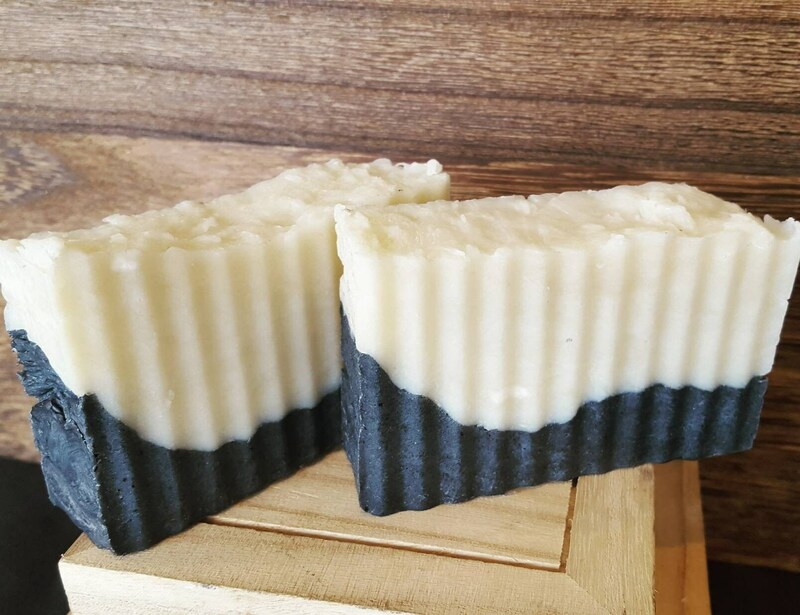 Scented with natural lavender and tea tree essential oil offers, this bar is fine quality and wonderful for your self care needs. Kaolin is a gentle clay that works well for most skin types, especially normal to dry skin. Activated charcoal helps to reduce acne and remove toxins. Ingredients include olive oil, coconut oil, kaolin clay powder, activated charcoal, lavender essential oil, tea tree essential oil, and sea salt. 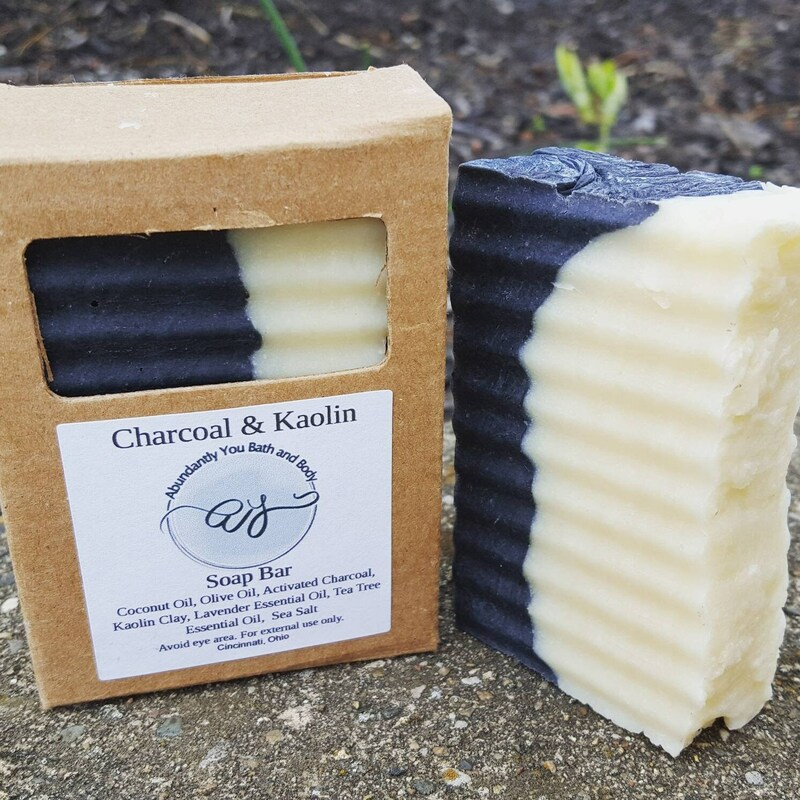 To extend the life of your kaolin clay and activated charcoal soap bar, keep dry between showers. Each vegan soap bar weighs approximately 4 ounces. Note ingredients listing to prevent possible allergic reactions. The color of the soap bar may differ slightly due to different monitor and printer settings.